The Venture Reality Fund has released its H2 2017 VR Industry Landscape map and report. The organization has generously posted the map, along with maps of the 1H 2017 European Landscape and Q2 2017 AR Industry Landscape. The VR Fund’s latest report highlights more than 450 companies developing infrastructure, tools, platforms, and applications for the VR/AR ecosystem. An interactive table, which VR Fund co-founder Tipatat Chennavasin began building in 2014, provides details of the companies. The VR Fund evaluated more than 3,000 companies and identified the 450 that met a certain criteria of funding, revenue, mainstream coverage, and/or major partnerships that qualified them for inclusion in the map, interactive table, and report. As would be expected, the report notes that Hollywood and game players are driving growth in the consumer VR market. On the enterprise VR side, while global companies like Cisco, HP and Accenture entered space during this period, a majority of the category’s growth was driven by startups building revenue-generating businesses for specific industry sectors. 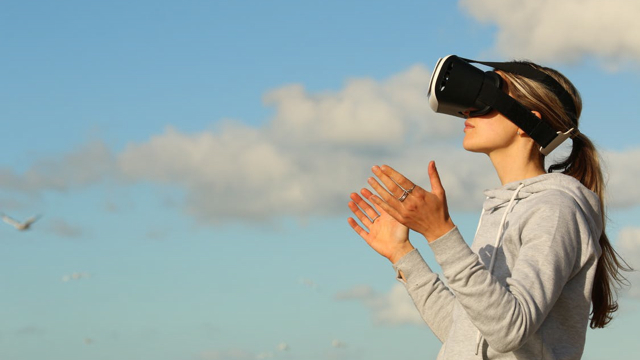 The VR Fund also noticed a recent shift in investments away from 360-degree video and to more interactive and immersive experiences, which bodes well for the industry in 2018.